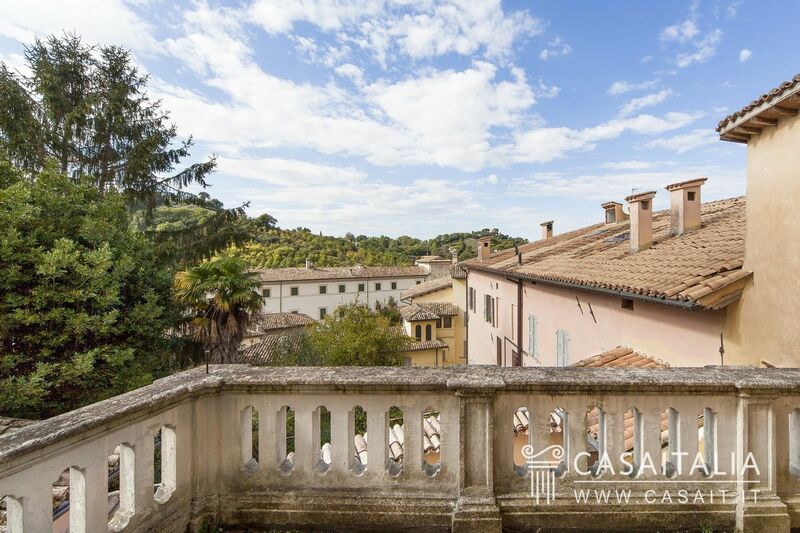 Spoleto is one of Umbria’s best loved art cities, famous for its “Festival of Two Worlds” which for over half a century has been bringing the city centre to life every summer, with cultural events and international artistic performances. L’Appartamento del Soprano is in a prime location: in the heart of the historic centre, a stone’s throw from the Teatro Nuovo, which hosts several of the Festival’s most exclusive events, and right in front of one of the exits of the alternative mobility system that connects the “upper” part of the historic centre to the city, with a large covered parking area. 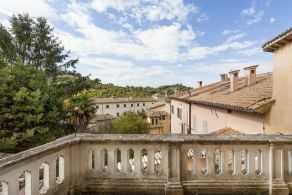 In addition, Spoleto is in a central location in relation to some of Umbria’s other interesting historic centres, convenient to get to by car thanks to the SS3 motorway which allows you to get to Trevi (23 km) and Spello (35 km), in less than half an hour, Todi (46 km) Perugia (60 km) in less than an hour and Orvieto (81 km) and Rome (130 km) in around an hour and a half. 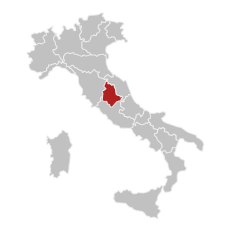 The nearest airport is Perugia (45 km), 45 minutes’ drive, while Rome’s Ciampino (143 km) and Fiumicino (160 km) airports are around 2 hours away. 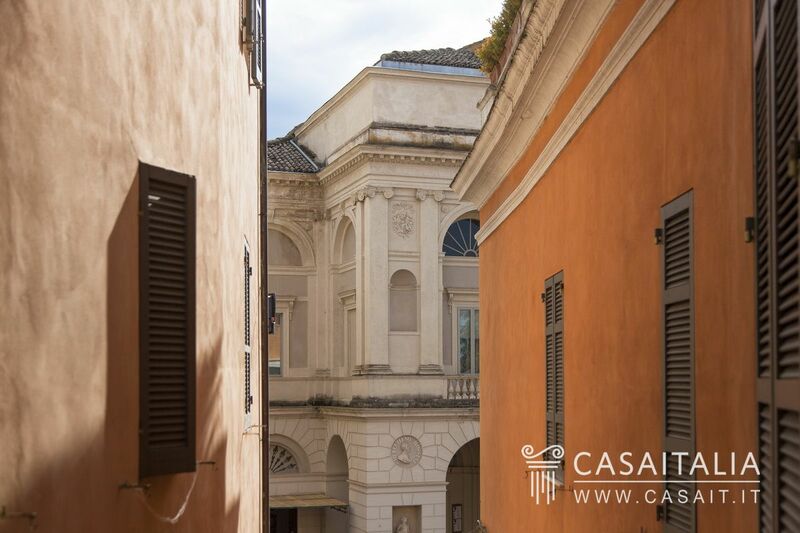 The city is also easy to get to by train from Rome and its airports, with several services running daily. 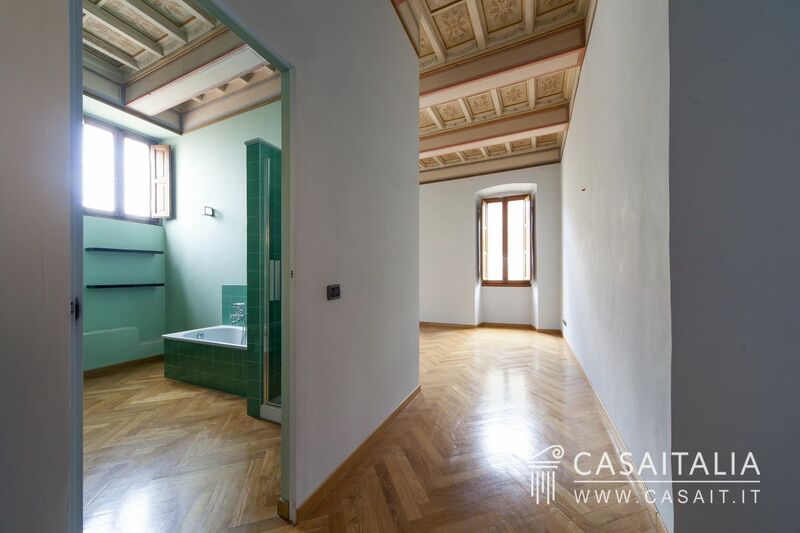 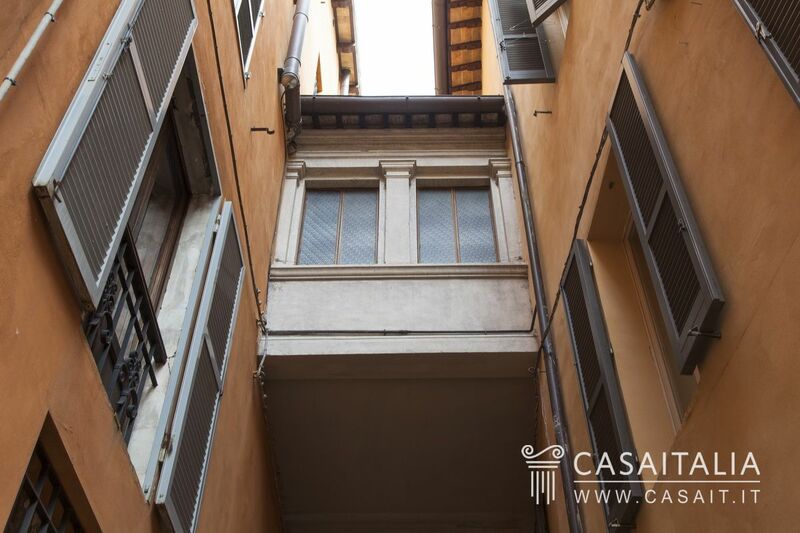 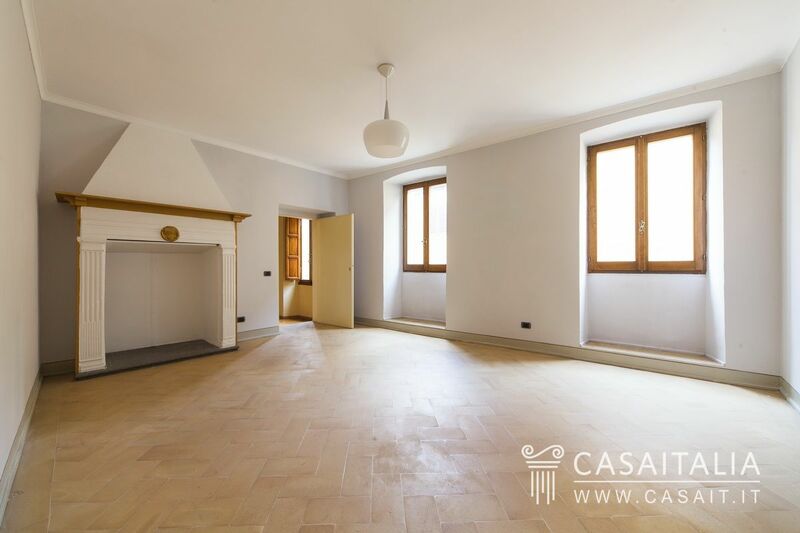 L’Appartamento del Soprano is on the second floor of an old, stately palazzo, fully restored, which benefits from 3 entrances, one with a lift, from three different streets. 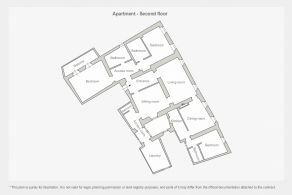 The total surface area of the house is 278 sq.m, plus a pretty terrace measuring 11 sq.m. 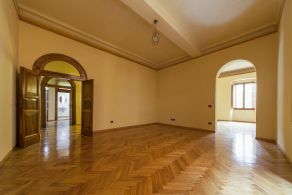 If desired, it would also be possible to buy a garage measuring around 34 sq.m. 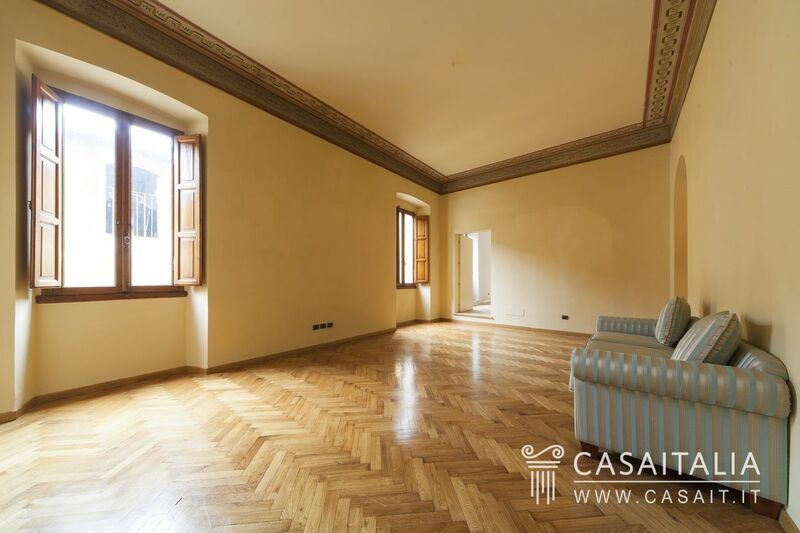 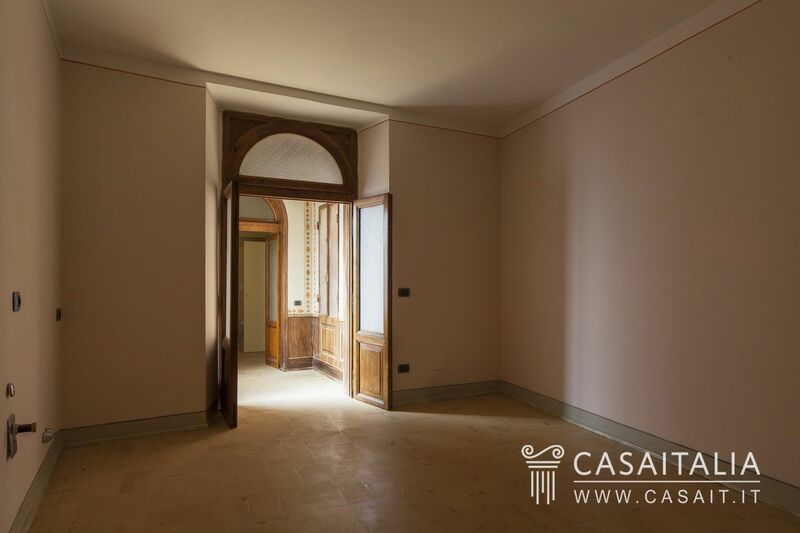 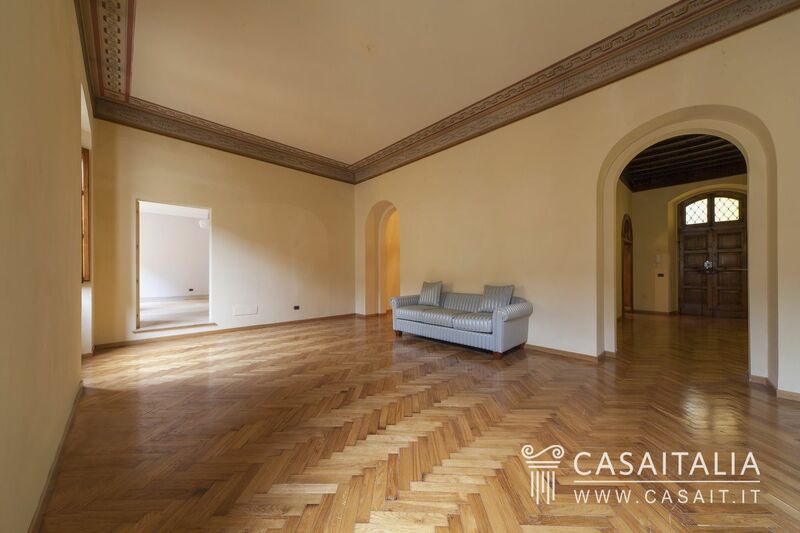 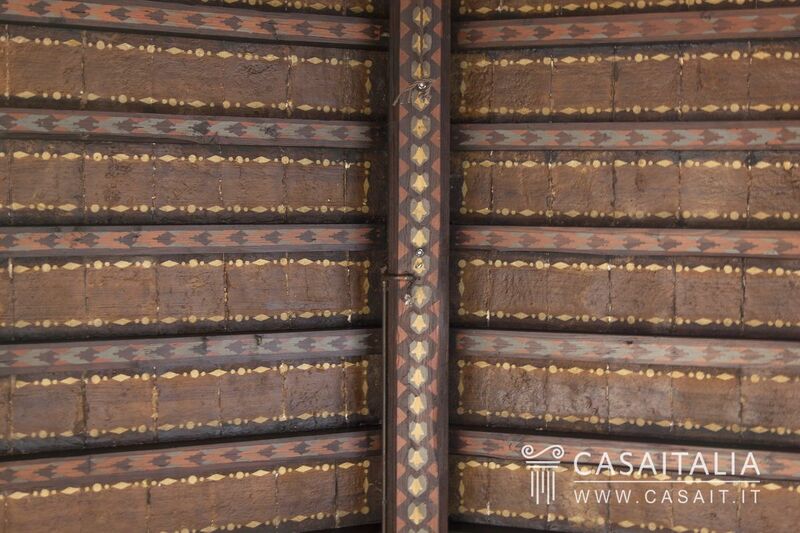 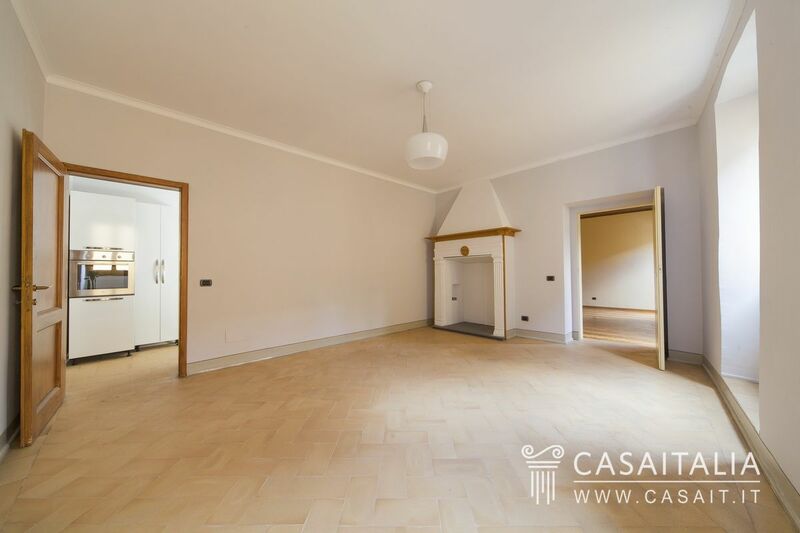 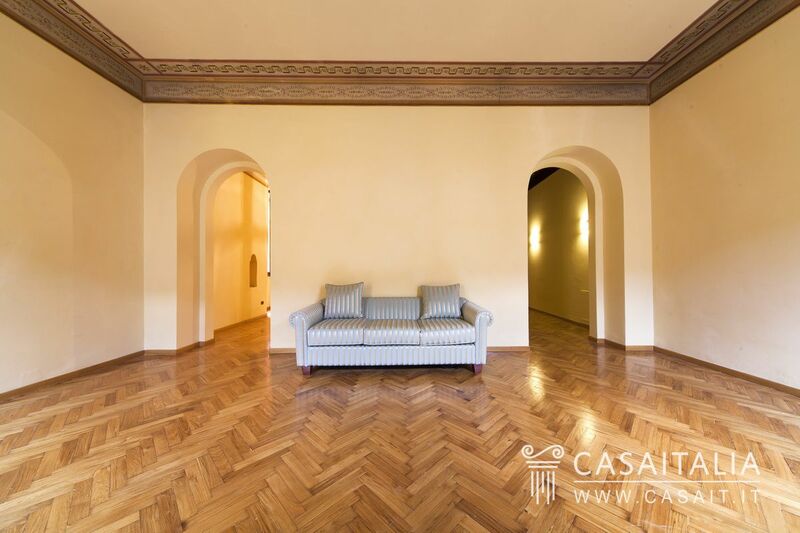 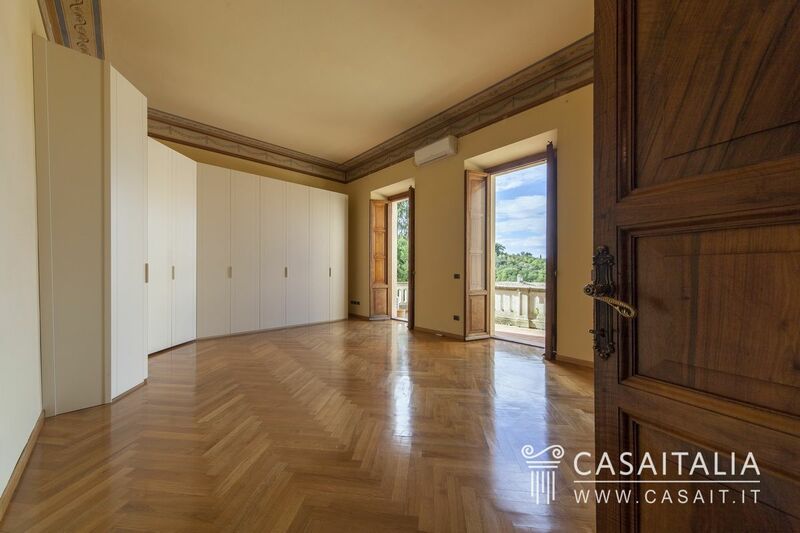 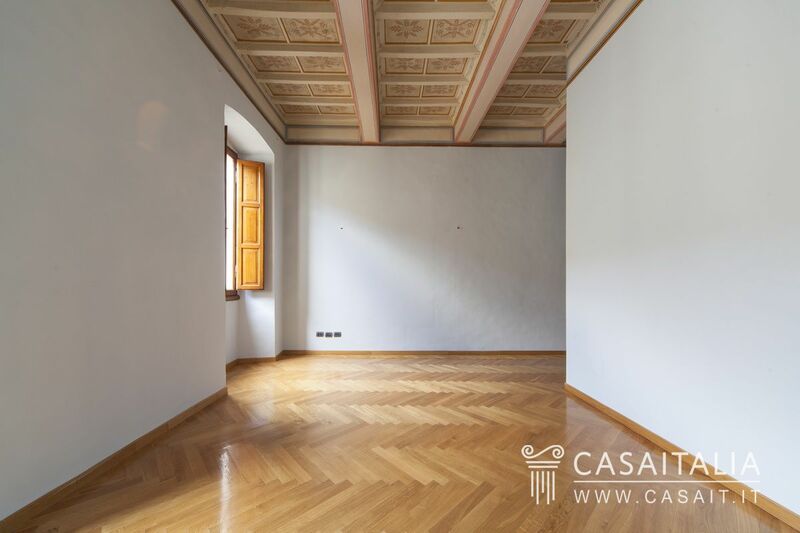 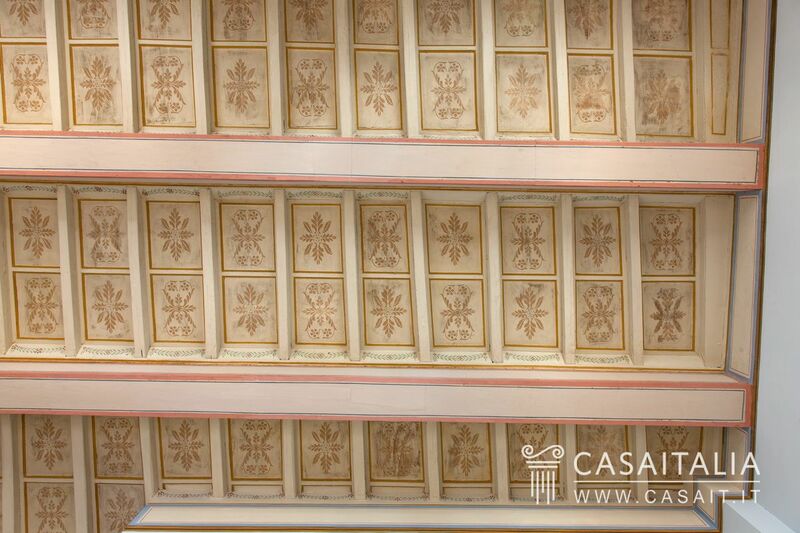 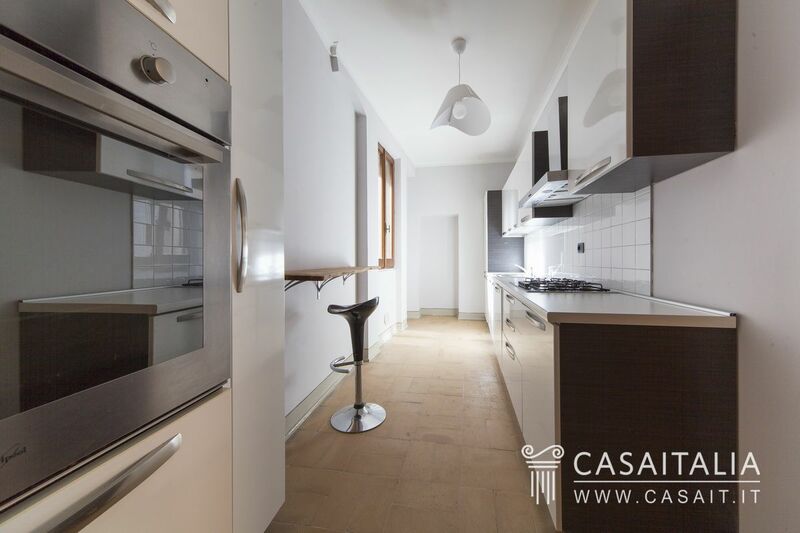 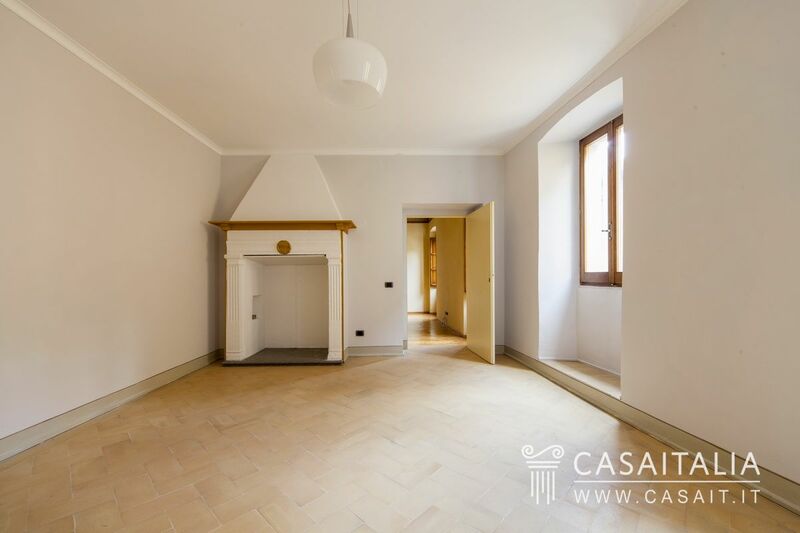 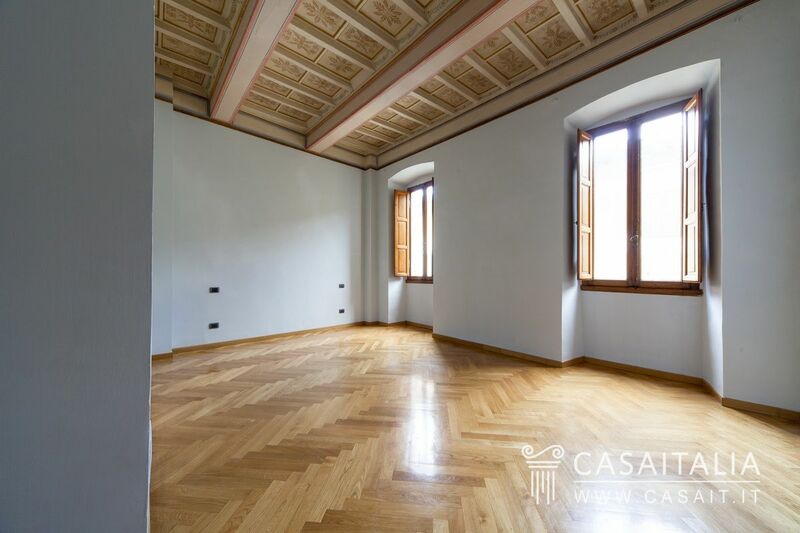 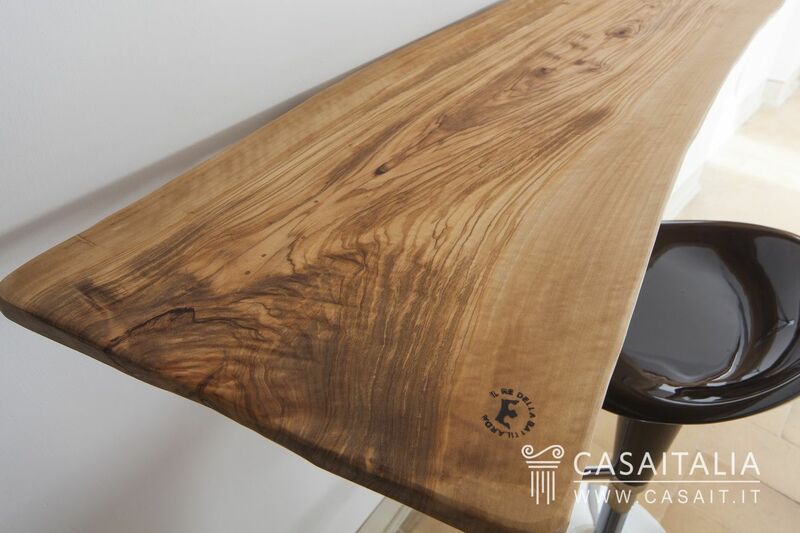 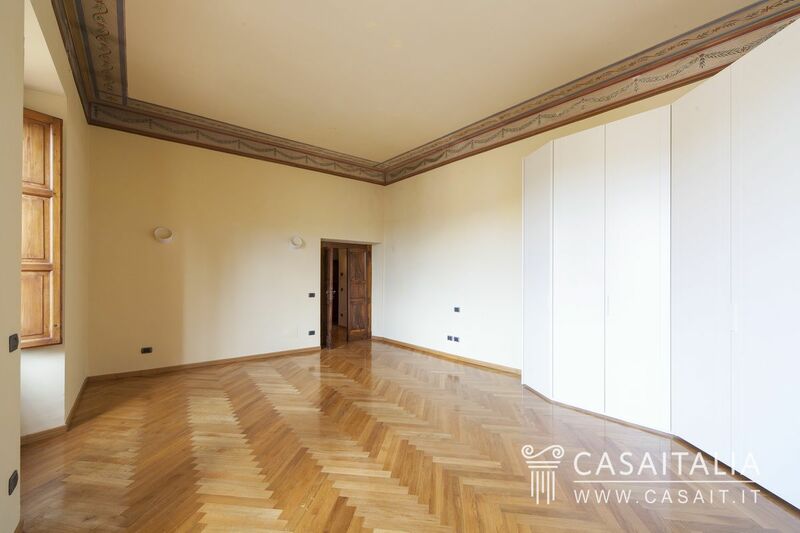 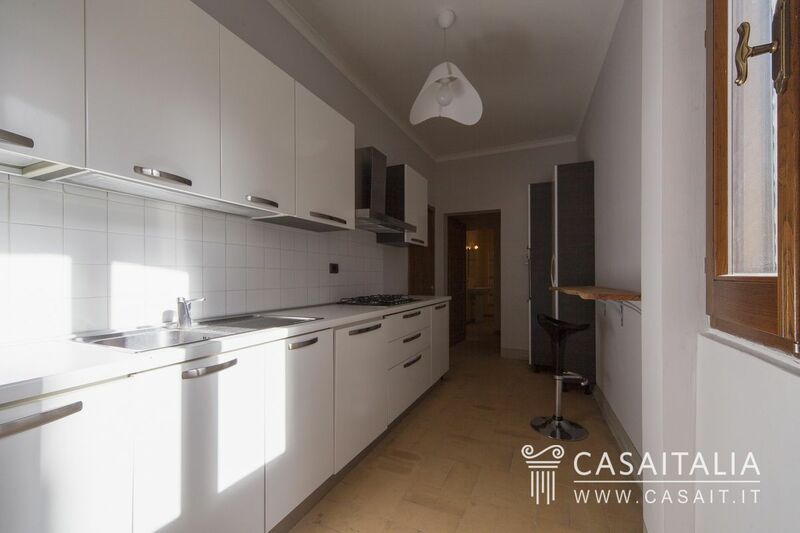 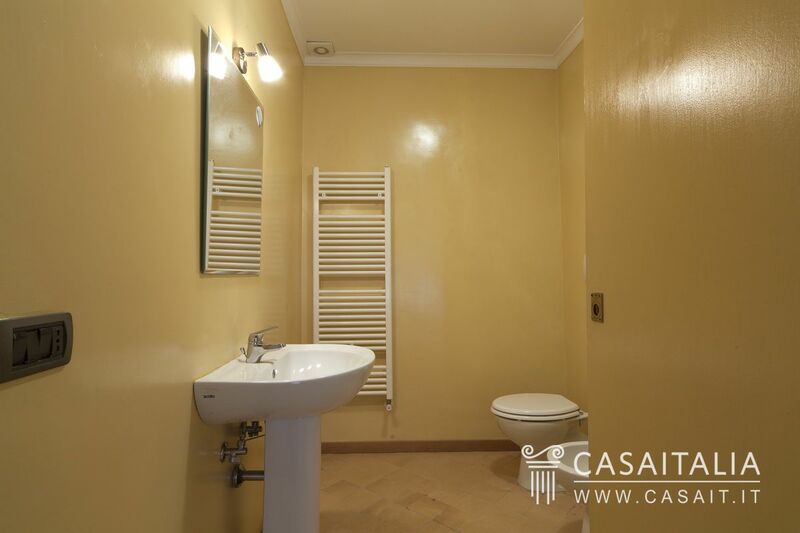 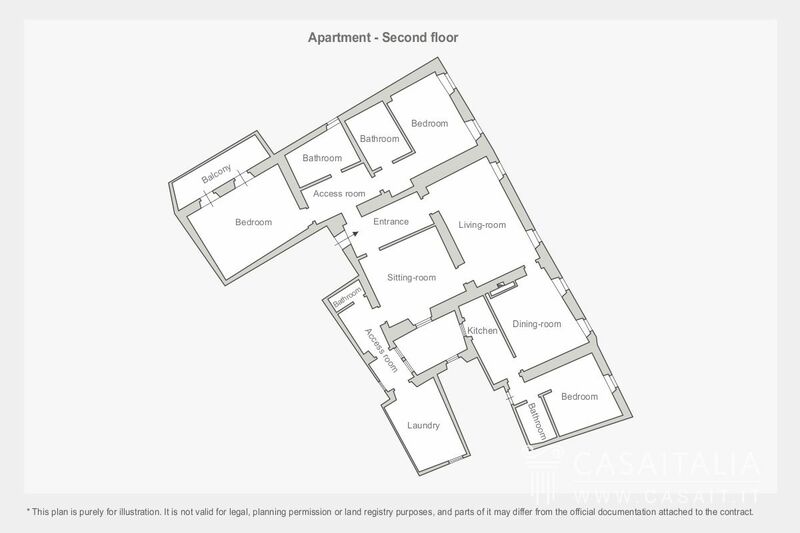 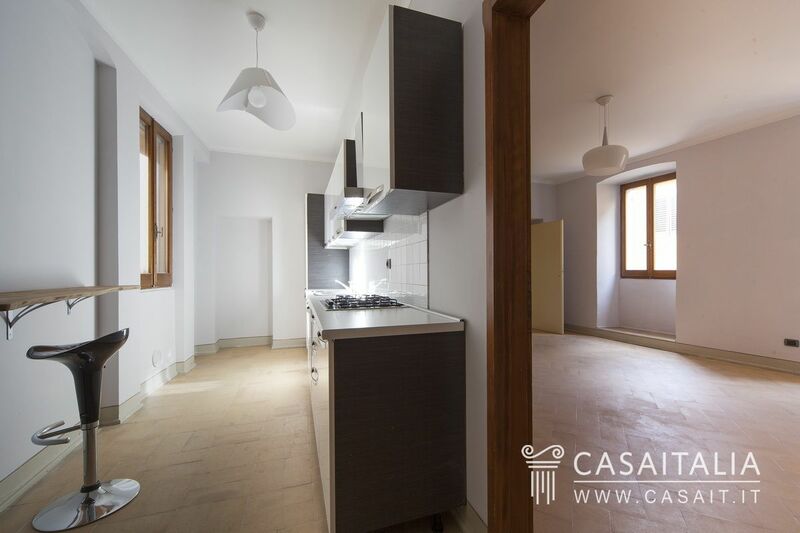 The apartment is in perfect condition, with high ceilings, some with decoration, and decorative coffers, some in wood. 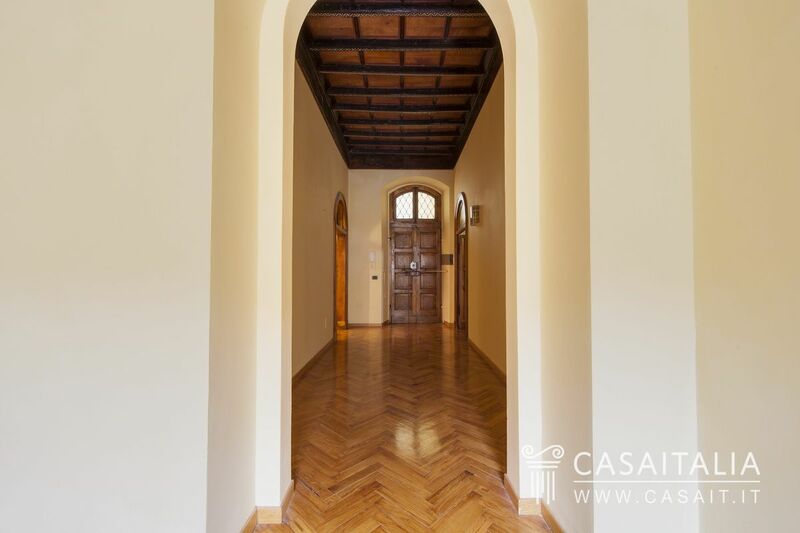 The charming loggia is all decorated. 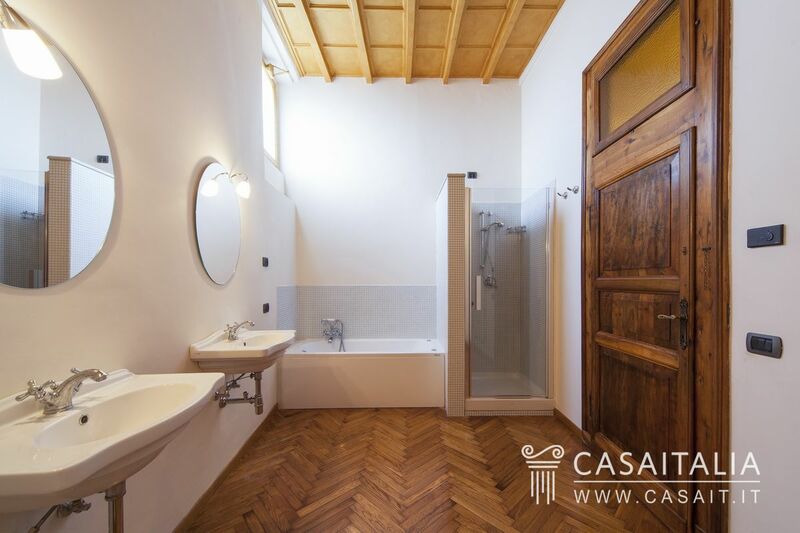 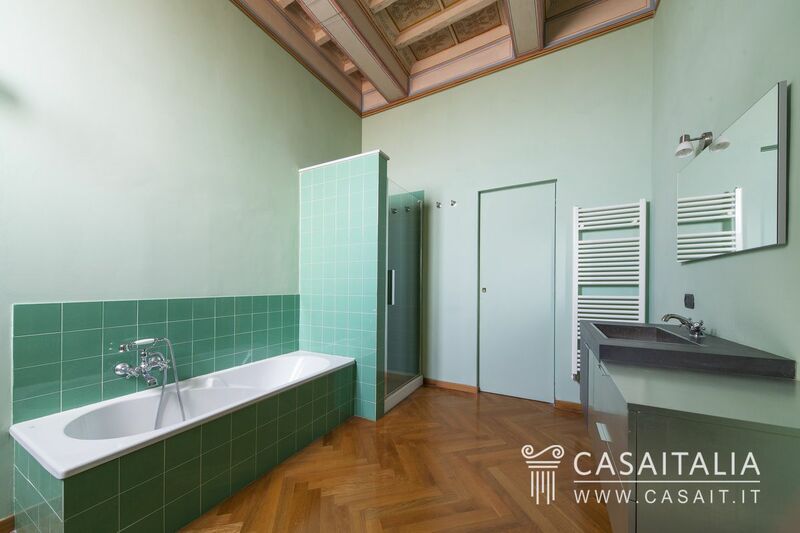 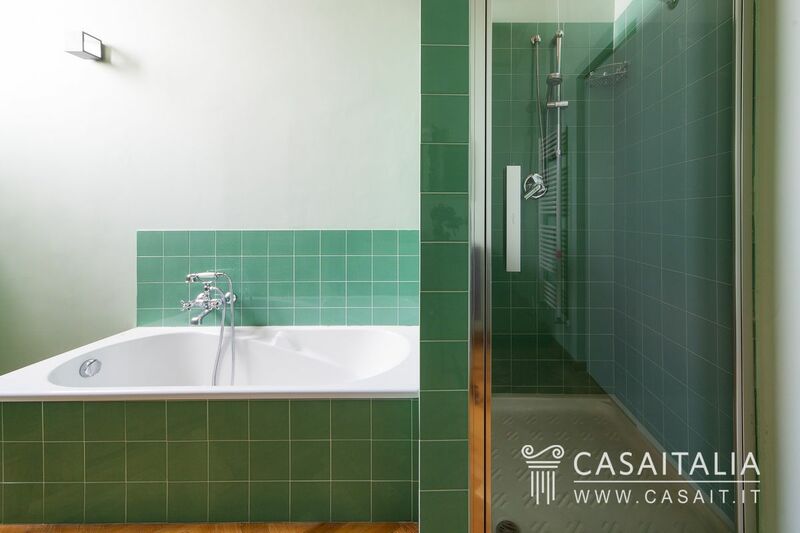 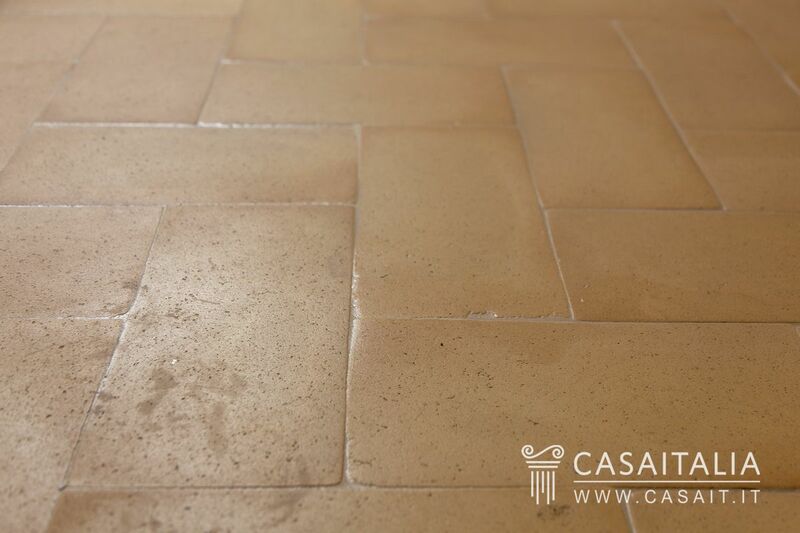 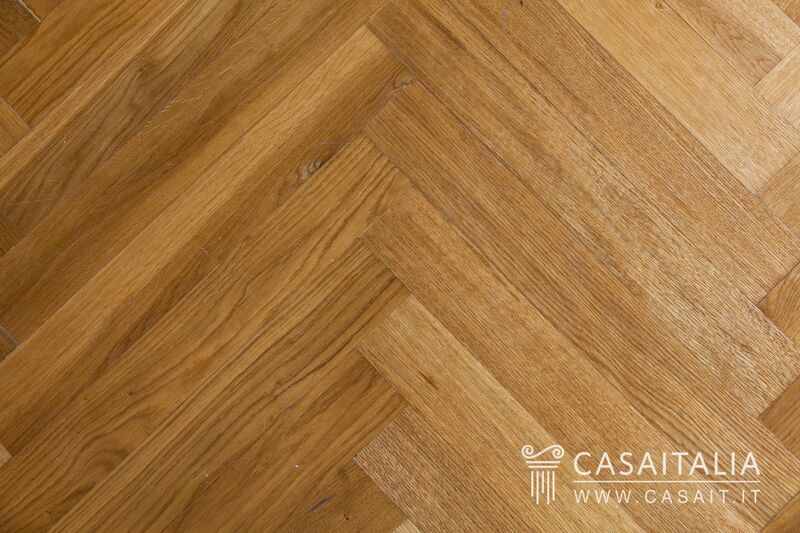 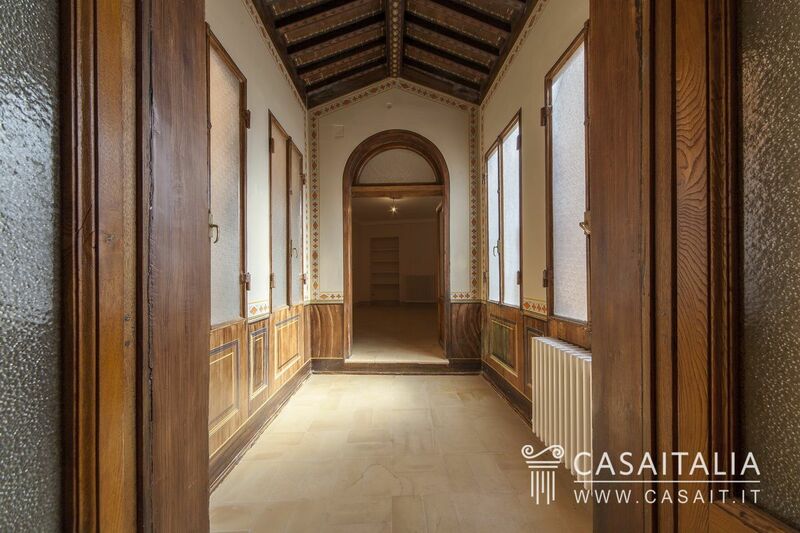 The floors are in parquet and handmade tiles, and the fixtures are wood. 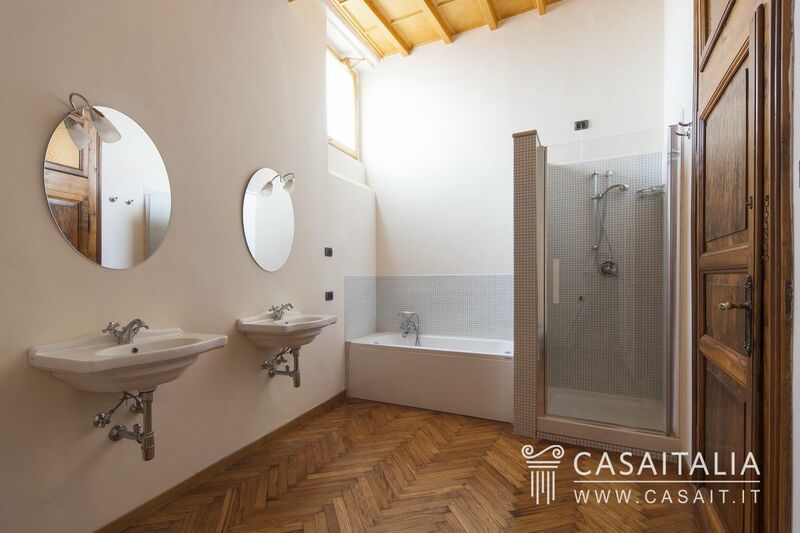 The bathrooms have been recently renovated. 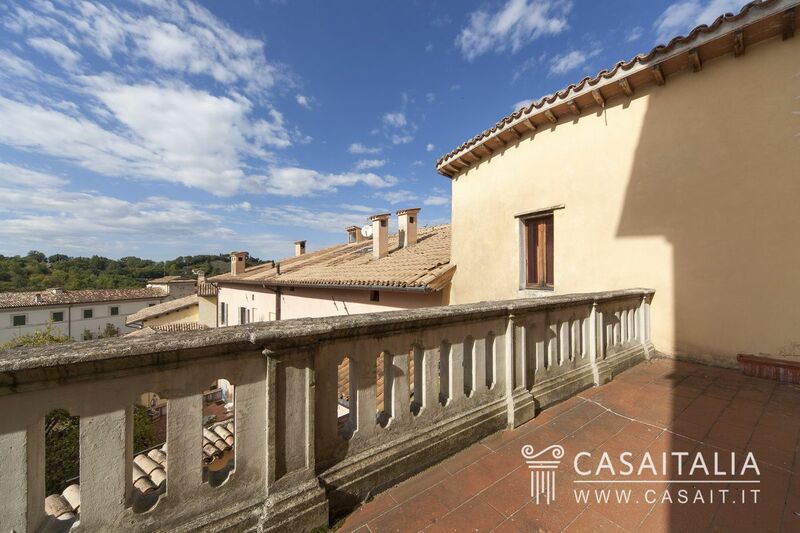 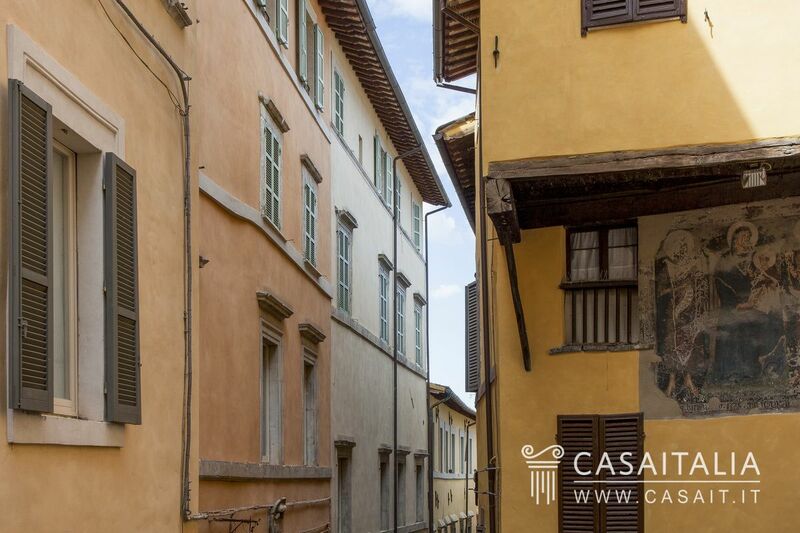 One of this apartment’s best features is certainly its terrace, which are rare in the historic centre: measuring 11 sq.m, it overlooks the rooftops and a private garden towards the hill opposite. 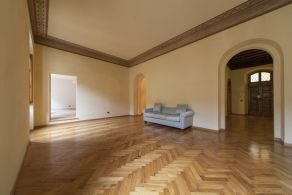 Its size and location make it perfect for outdoor dining and for enjoying relaxing moments in the summer. 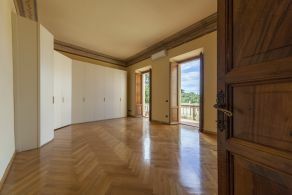 Thanks to its location, in the heart of the historic centre of the city and easy to get to, even by train, from Rome and central Italy’s major airports, L’Appartamento del Soprano is perfect for those looking for an impressive residence in a historic Italian city with plenty of events and performances throughout the year.